'Predator: If It Bleeds' review: Get to the bookstore! – AiPT! 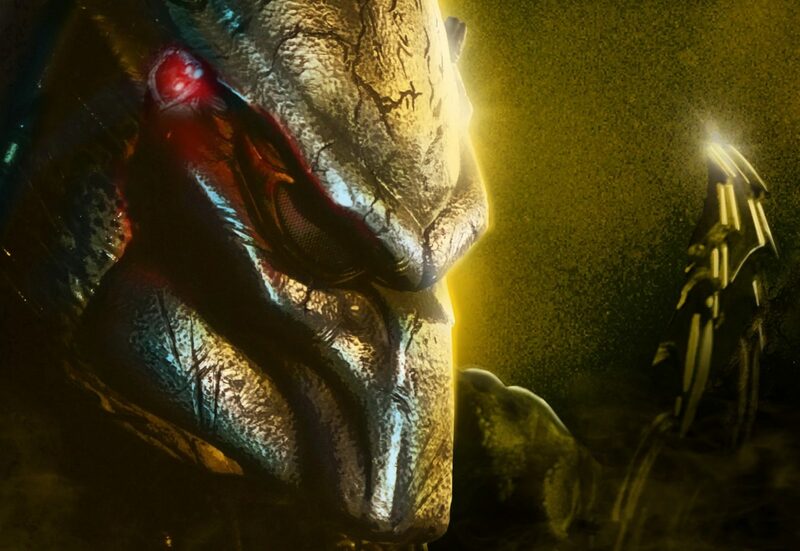 'Predator: If It Bleeds' review: Get to the bookstore! ‘Predator: If It Bleeds’ review: Get to the bookstore! A solid anthology of well-written Yautja-centric stories that you won’t want to miss. In 1987, biceps bulged and blood was shed in the South American jungle as Predator, a sci-fi/action/horror/thriller flick, took the world by storm. Since then, the Predator franchise has expanded and the technologically-advanced hunters from outer space, the Yautja, have appeared in several films — including crossovers with the Alien franchise — books, comics, and video games; you can purchase Predator tees and toys and just about anything else that showcases the likeness of this lovable race of extraterrestrial hunters. And while I could go on and on about the Predator legacy, it’s time to hone in on a collection of literary works influenced by the Yautja: Titan’s Predator: If It Bleeds. Over the centuries, extraterrestrial hunters of the Yautja race–also known as the Predators–have encountered (and stalked) humans on Earth and in the depths of space. Offered here are sixteen all-new stories of such hunts, written by many of today’s most extraordinary authors: Kevin J. Anderson, Jennifer Brozek, Larry Correia, Mira Grant , Tim Lebbon, Jonathan Maberry, Andrew Mayne, Weston Ochse, S. D. Perry, Steve Perry, Jeremy Robinson, John Shirley, Bryan Thomas Schmidt and Holly Roberds, Peter J. Wacks and David Boop, Wendy N. Wagner, and Dayton Ward. Inspired by the events of the original Predator movies, graphic novels, and novels, these adventures pit hunter against prey in life-and-death struggles where there can be only one victor. If It Bleeds is an anthology that collects sixteen Predator-centric stories, and while all of the stories feature the Yautja in one way or another, they showcase different scenarios that take place at different points throughout the ages, where man has come face-to-face with hunters. And while this collection is clearly intended for Predator fans, most of the stories found in this anthology are easily accessible to those who aren’t entirely familiar with the franchise. Each story found in this collection has its own spirit and for the most part, captures the essence of Predator. Some stand out more than others (see the above list), but overall the quality of story found here is high. One flaw that I found laced throughout the collection is that a good deal of the stories are predictable, and after a while, they begin to bleed together and the excitement levels drop dramatically from story to story as one continues to read. With that said, I did in fact read this collection in two sittings, so I may have overdone it, and by story four or five, I had had my fill of Predator… Thus, I recommend that this book be read in sips rather than gulps. Putting some time in between each story will ultimately lead to a more enjoyable reading experience. If you’re a reader who digs sci-fi anthologies, or if you’re a fan of the films, be sure to pick up Predator: If It Bleeds. Predator fans, “Get to the Bookstore!! !” Titan’s Predator: If It Bleeds is a solid anthology of well-written Yautja-centric stories that you won’t want to miss.